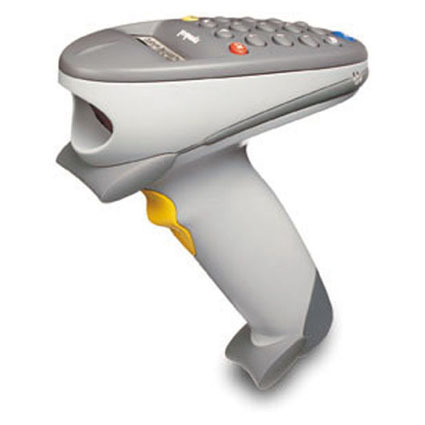 Built for real-time data capture and transmission, the Phaser P370 cordless scanner operates up to 100 feet from the host system regardless of line of sight. With a top-mount 17-key keypad and two-line display, the P370 allows verification and editing of scanned data, and a programmable architecture allow customized data management. RF Range of up to 100-Ft.